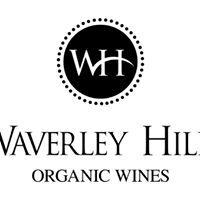 Waverley Hills Estate is situated between Tulbagh and Ceres, South Africa, at the foothills of the breathtaking Witzenberg Mountain Range. The fertile Oakleaf yellow clay terrain is impregnated with river stones, resulting in well-drained soils with excellent water holding capacity. All the vineyards are irrigated with pure mountain spring water and are located on a natural watershed area where both the Breede and Berg rivers originate. The area is renowned for its diverse fynbos (indigenous flora), giving our wines a unique herbaceous characteristic. Waverley Hills is proud to win the Best Of Wine Tourism winner for - Sustainable Wine Tourism Practices in 2011 and 2012. We continue to be committed towards conservation and sustainable practices, receiving this award two years in a row is a great achievement for us.